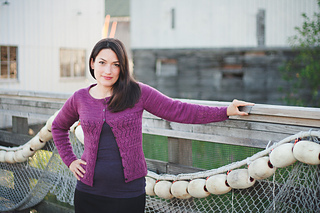 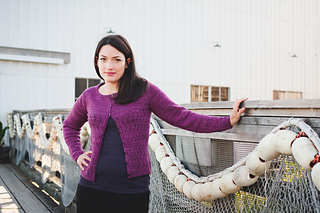 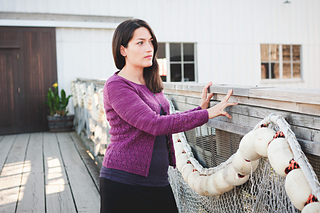 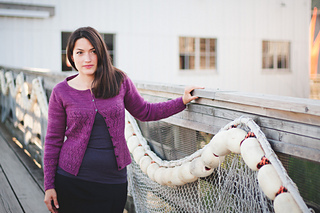 Seaswell is a fitted, ballet-neck cardigan that features an all-over simple lace pattern, set-in sleeves with deep lace cuffs, and English tailored shoulders. 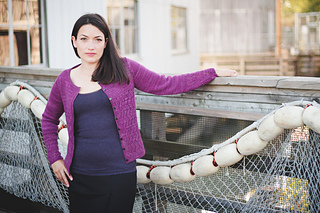 The cardigan is constructed flat, from the bottom up, in one piece to the armholes where it is divided into fronts and back which are worked separately. 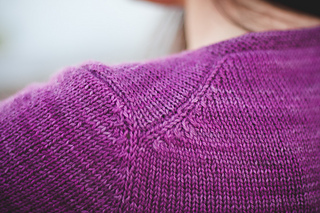 Waist shaping is achieved easily just by changing needle size.